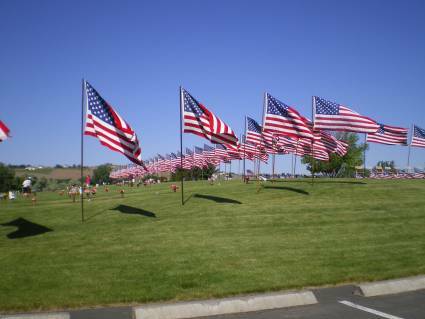 What a glorious day to remember our Fallen Heros! You can't help but feel the pride for our Country when you see our Stars and Stripes flowing so beautifully against our blue skies. Special thanks to all our Service men and women past, present and future. We owe our FREEDOM to you! 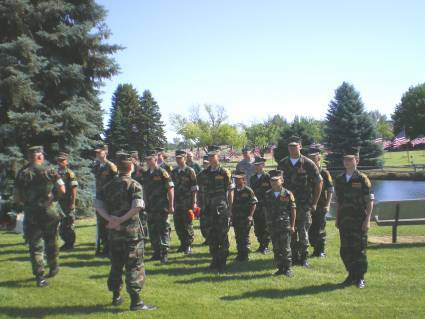 CO Mr. Carlyle, Staff Member Mr. Tonada, and our Tri-City Young Marines looking sharp and gettting ready for the Memorial Day Ceremonies. 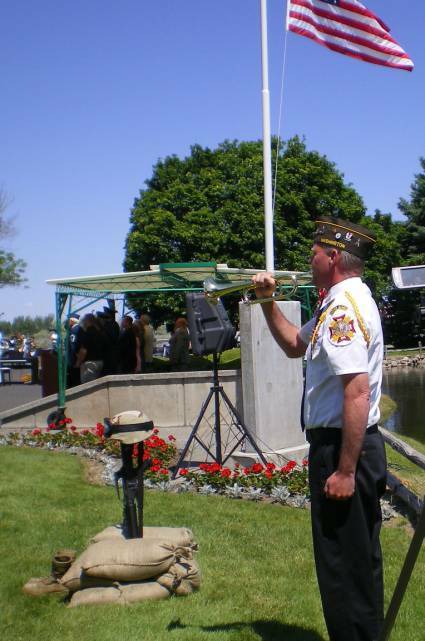 DeGraaf assisting with the raising of Old Glory and the official start of the Ceremony. Staff member Sgt. 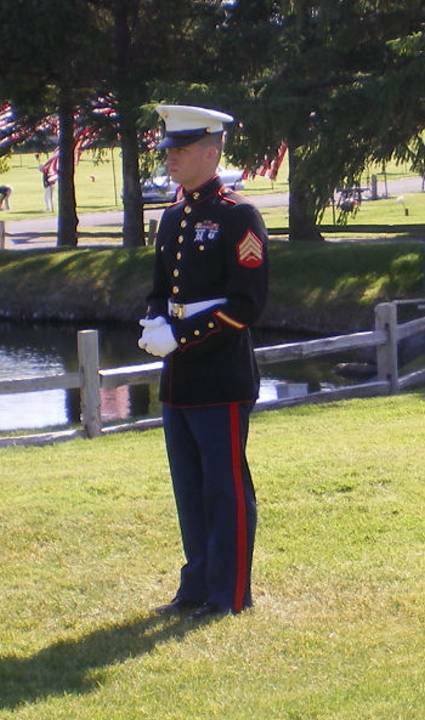 Nash wearing the official Marine Corps dress Uniform. 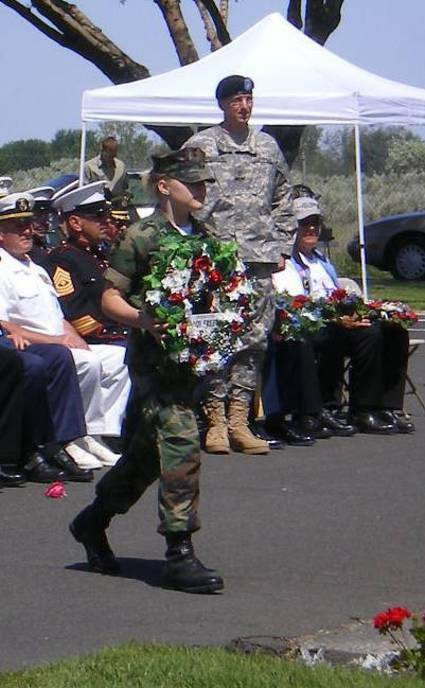 If any of you Young Marines think this looks awesome...who knows, this could be you a few years from now. 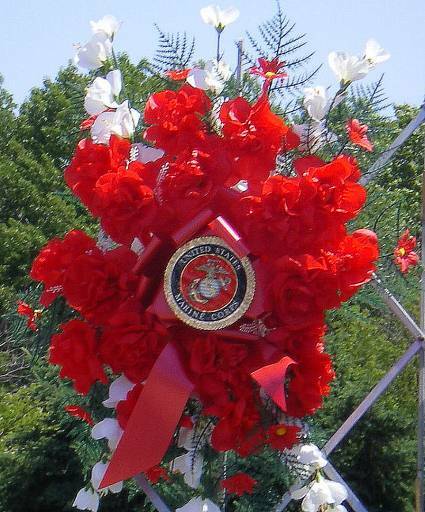 DeGraaf has the honor of placing a Memorial Wreath on the Wreath wall in honor of our fallen heros. Beginning formation for the Tribute to the Fallen Warrior observance. 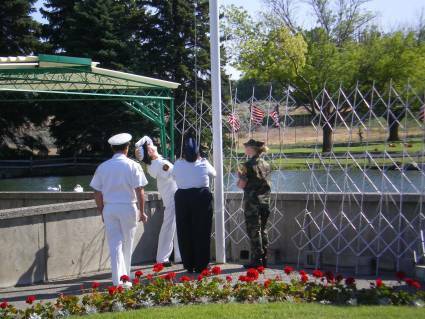 The following photos will show the sequence of events leading up to the final salute. 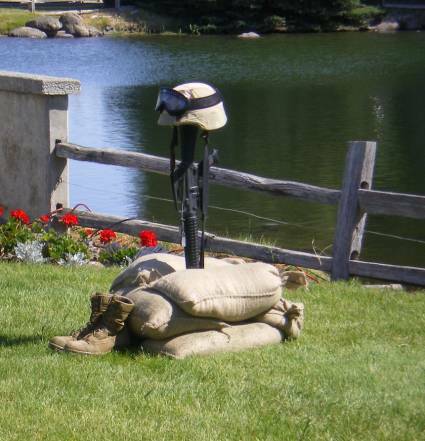 This is done to pay homage to those servicemen and women that have given the ultimate sacrifice for thier country. 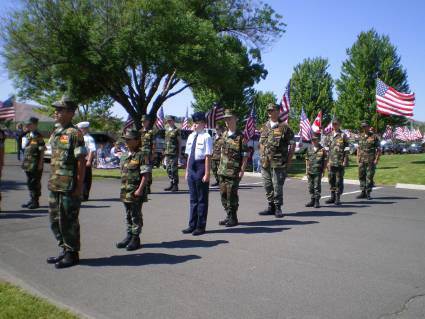 An aisle of Tri-City Young Marines, Sea Cadets and Civil Air Patrol marks the path towards the tribute. Tribute squad approaching the memorial site. Sgt. 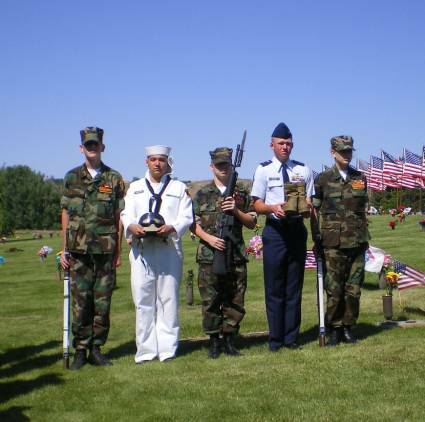 Haeg salutes to show is respect after carefully placing the rifle during the tribute. The Tribute to the Fallen Warrior is now complete. Bugler on hand to perform for the ceremony. 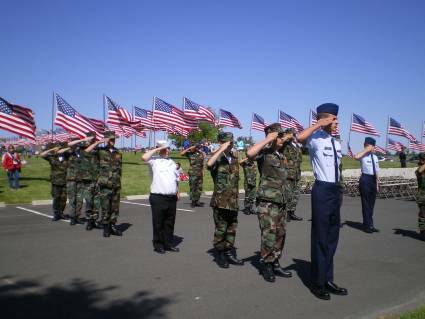 Formation salutes to show their respect. 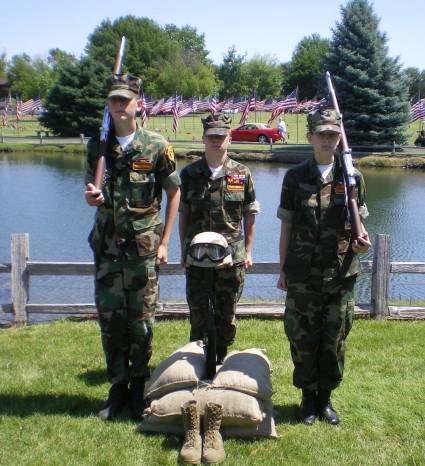 Osborne, Haeg and Hahn did an excellent job performing their portion of the Fallen Warrior observance. OORAH! 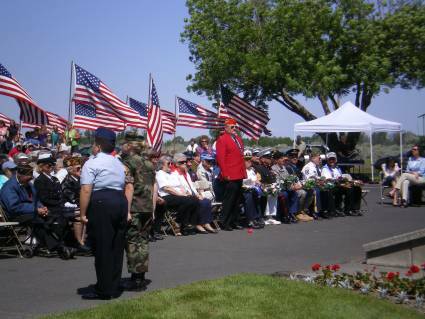 Distinguished Guests attending the Memorial Day Services. Thank you all for taking care of our Country. 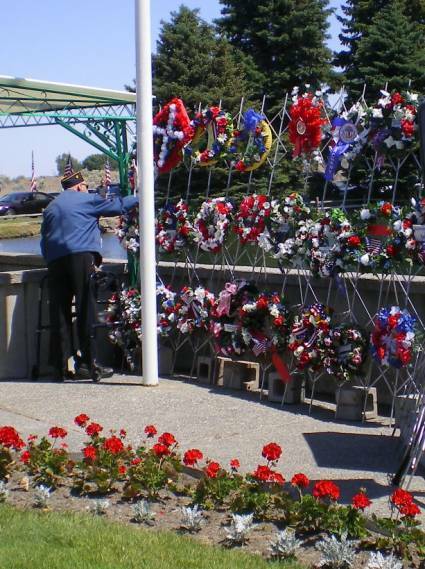 A Veteran respectfully places a Memorial Wreath onto the Wall. 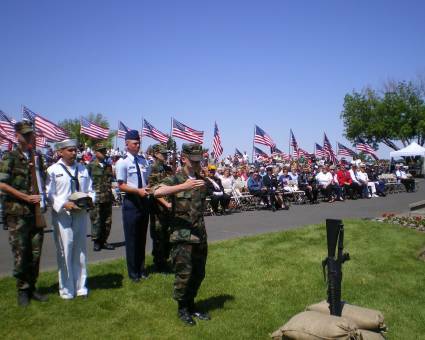 Just a few of the people who came out to show their respect for our fallen soldiers. Although they are gone....you will never be forgotten! 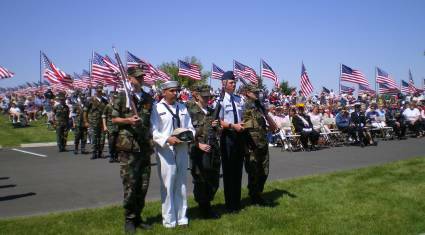 God Bless You for your devotion to our Country. Thank you for the FREEDOM we so often take for granted. Thank you for keeping us safe. Thank you for your ultimate sacrifice. Gone...but not forgotten.